You guys have no idea how happy I am to be saying those words. Hopefully you're just as happy to hear them! So... on to this week's favorite things! 1. Fall weather! It's coming to Nebraska (knock on wood), and I couldn't be happier! It's perfect football weather, and I get to wear sweaters and scarves and boots! Super stoked. 2. Starting a Harry Potter marathon. Mike and I started one last night, and we're going to watch one movie every week for the next seven weeks, until we've finished them all. 3. The Game of Thrones books. I haven't had much time to read this week, but nearly every spare minute I find has been spent reading this series. It's so good. I think I'm going to spend all day tomorrow devouring the first book. 4. 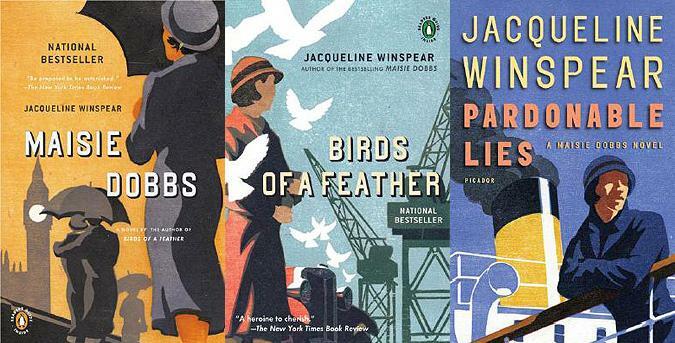 The Maise Dobbs series. This is a mystery series set in England between WWI and WWII. It's really, really good, and I highly recommend it if you're into reading mysteries. 5. Mint chocolate chip ice cream with chocolate syrup. Holy moly, so good. I have to brag a little about Mike, too, because after I mentioned that it sounded good yesterday, he went out and bought a half gallon of it while I was napping!! I love that dude. What were some of your favorite things this week?? I think I might participate in this Harry potter marathon with you! I wish I could spend all day tomorrow devouring a book! Mint isn't my favorite ice cream, but ice cream sounds good! now you've mentioned the Games of Throne books couples of times, i WANT them right now! my favorite thing this week? When we're sitting in a waiting room for our flight so i can get some sleep! I'm currently reading the first Game of Thrones as well and I'm LOVING it. Admittedly I did watch the show first but to me it doesn't make a difference! A good book is a good book, even if I know what happens! Also I love me some Harry Potter marathons, next time I plan on giving this exercise plan a go, I figure I watch them enough, I may as well get fit while doing it! Love every single one of these things! Game of Thrones is on my list! next time, make that ice cream vanilla with peanut butter. don't mix them up rather just a bit of each in the spoon. so good! I'm jealous of your fall weather! Maybe we will get it soon!! We JUST finished the HP movie series last week! We managed to get in two a week so we could finish it quicker. Holy moly, that's a good series!!! omg, J and I had a HP marathon once, right before the last one came out in the theater. I'd never seen any of them (I KNOW, RIGHT??) and we watched all seven in two and a half days. Andi and I watched all of the HP films last summer...in German! It's really funny! Try it once with subtitles. Gonna get onto those books. They look awesome. My MIL loves the Game of Throne books! I guess I mihgt need to read them if you like them also ;) And yay for mint chocolate chip! That's my favorite and yay for Mike! Good husband points! I was dead to the world when I read the Game of Throne series. It's SO good! My husband hates me though because I couldn't help but blurt out spoilers from the books. Yay for fall and a Harry Potter marathon! That's awesome! Have fun! It's still so hot here, but I'm definitely prepping for fall weather, I can't wait! And I LOVE the Game of Thrones series. It's one of the best I've read in a long time. Harry Potter marathon!!!!!!!!!!! Now I want one! I need to read so bad, teaser haha it's a good job the weather is getting cooler, I just sent every bit of summer wear back with Josh, but I Love the coolness and I'm so ready for cute layers, scarves and stuff! yay! 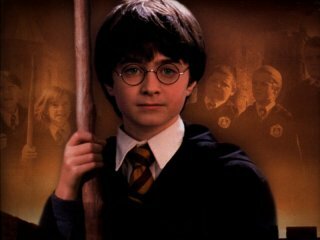 I love that your having a Harry Potter marathon. I just talked about this in my 100 things series that I'm doing at the moment. Love Love the movies. Good luck on your HP movie marathon! Happy Friday, and thank goodness for fall! It's still not cold enough in Texas for boots and scarfs but I'm hoping it comes soon! Wow - similarities: J & I recently did a Harry Potter marathon, my favorite ice cream is mint chocolate chip w/ chocolate syrup, and my boyfriend is obsessed with Game of Thrones (on tv). I'm convinced that I need to start reading the series because if you love it, it's pretty much guaranteed that I will too! Awe ya, Harry Potter marathon!!! Love those :) One time I watched each movie back to back... wasted my entire weekend. oh, I really need to read the Game of Thrones series! Mint chocolate chip is the bomb. I have a thing going for hot fudge right now. Nothing else seems to compare in terms of the greatness. I love this Friday's list!!! Harry Potter, mint chocolate chip ice cream, reading some great books!?! Girl after my own heart!!! 1. I am jealous of the fall weather. We are still dealing with heat and humidity here in sunny Florida. I went to the Gator game on Saturday and got a sunburn on the top of my feet. very attractive. 2. I have been wanting to have a Hary Potter marathon lately. Colon and I did a "Lord of the Rings" marathon. so much fun but it took forever. We finished the last movie on Friday and while walking around campus on Saturday before the game I kept saying "my precious" in the creepy Frodo voice. True story. 3. I am checking out these series!